This post is sponsored by National Institute for Argentine Yerba Mate. You can have your tea and drink it too! 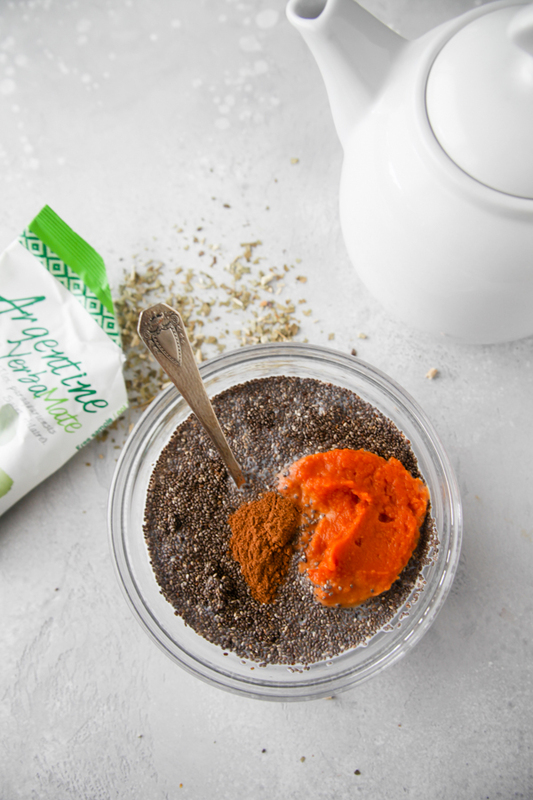 This is the perfect “grab and go” energizing breakfast infused with the benefits of yerba mate. Argentine Yerba Mate is a rich source of antioxidants (with levels even higher than green tea!) and drinking it boosts your intake of B vitamins, vitamin C, zinc, potassium, and manganese. Studies have shown that yerba mate may help protect the liver, aid in digestion, and increase fat oxidation. 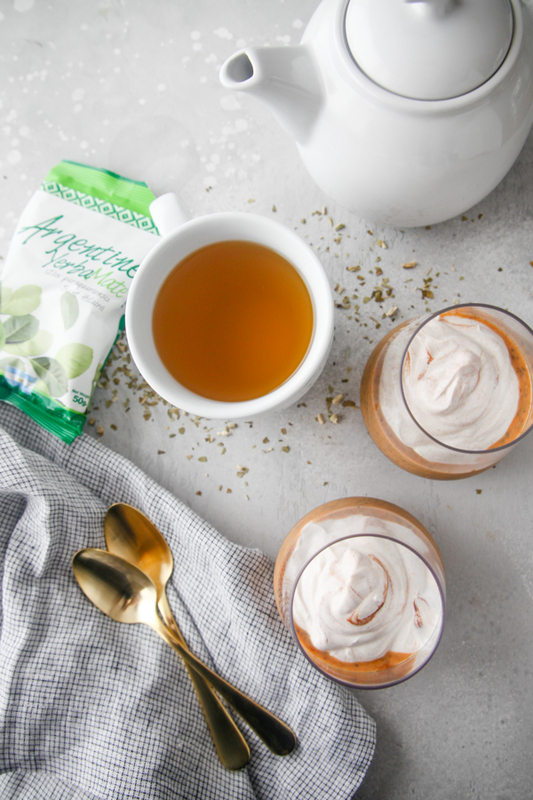 You can find Argentine Yerba Mate at speciality tea shops, Whole Foods, or on Amazon. 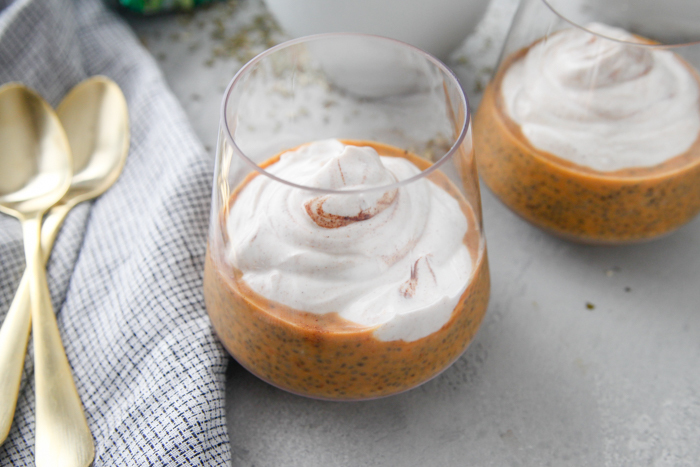 This fall-themed breakfast, snack, or dessert blends chia seeds, pumpkin, milk, brewed tea, pumpkin pie spice, and a touch of maple syrup into a hearty pudding. 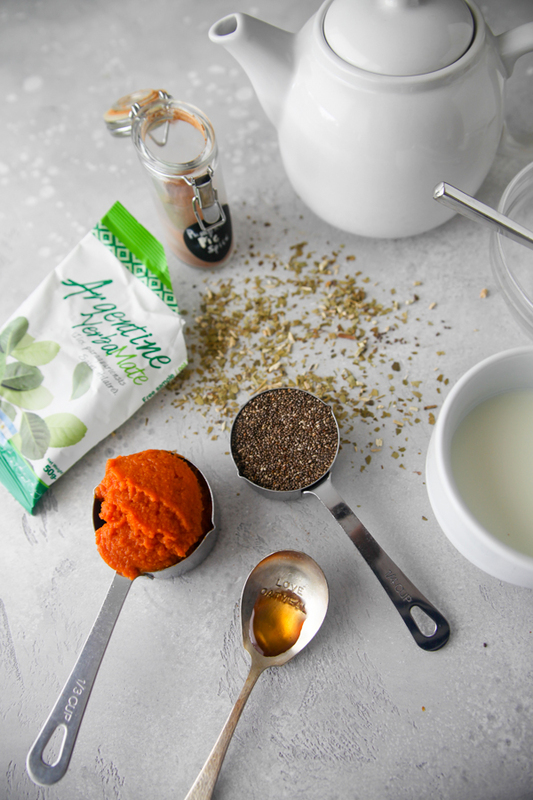 Just mix it all up and store in the fridge overnight. 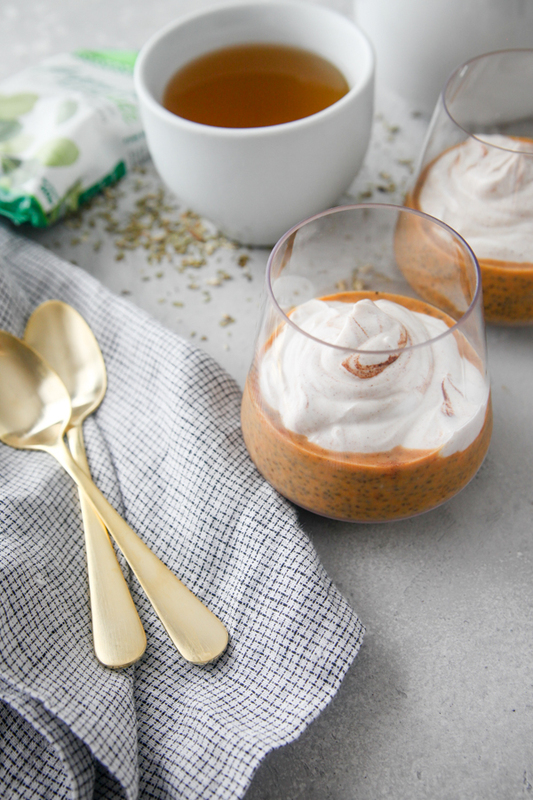 For an extra layer of flavor (and protein! 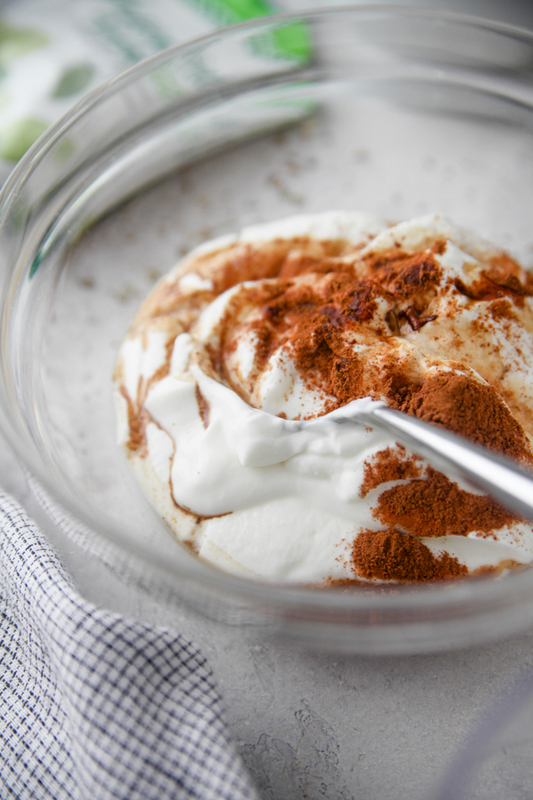 ), I mixed a plain full-fat thick Greek yogurt with cinnamon, maple syrup, and vanilla for a healthier take on whipped cream. 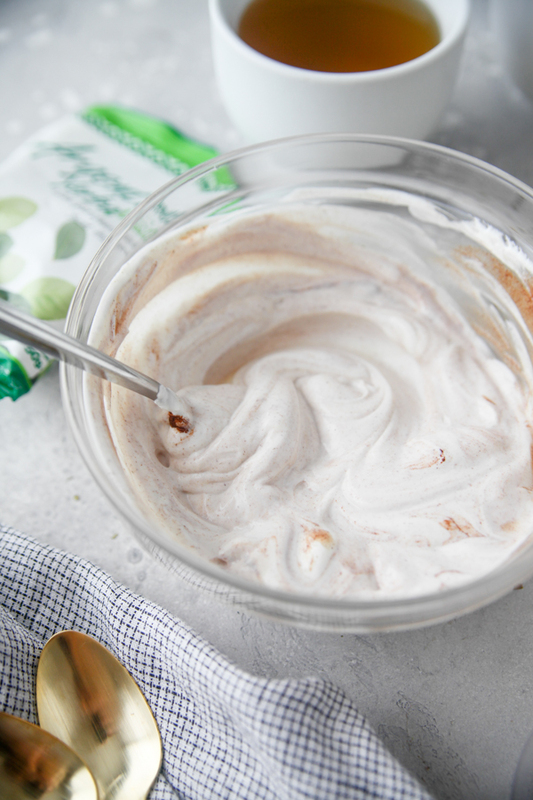 Of course you could also use real whipped cream or coconut cream too! 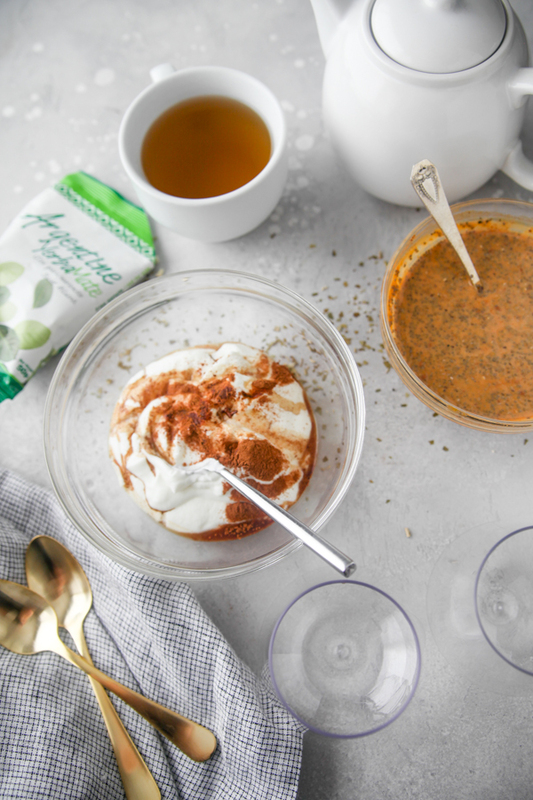 Or a vanilla or spiced yogurt. 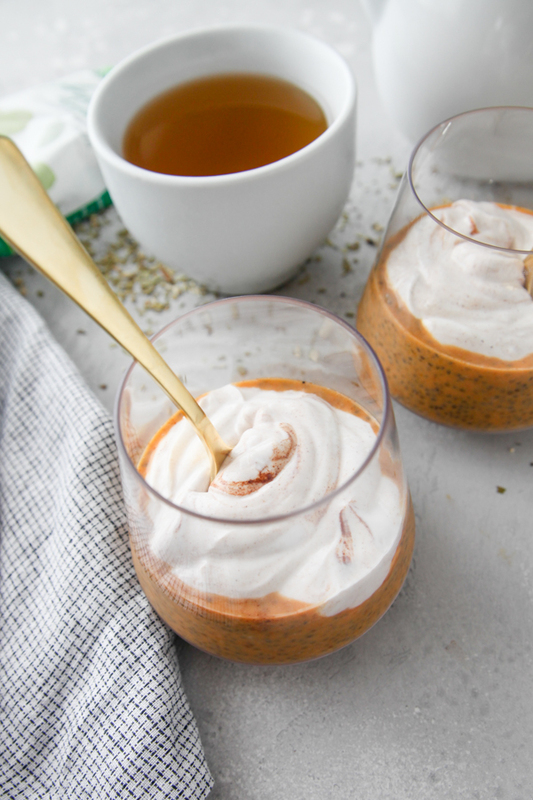 The whip makes the recipe, so don’t skip it! Brew yerba mate and allow to cool. 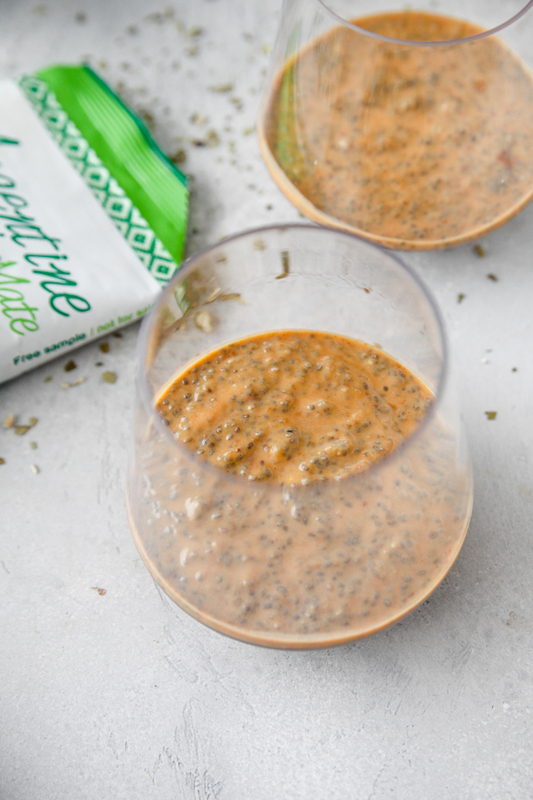 Mix chia seeds, yerba mate, milk, pumpkin, maple syrup, and pumpkin pie spice in a bowl or jar and chill overnight. Thanks to the National Institute for Argentine Yerba Mate for sponsoring this post! 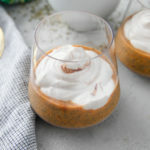 I love all of your creative recipes!! This looks incredibly enjoyable. 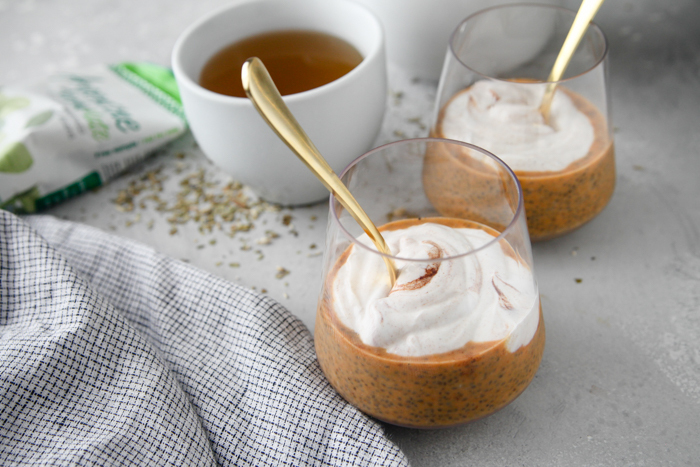 I like how you transform your chia pudding recipes for each season. The whip definitely looks fantastic. That looks really amazing! 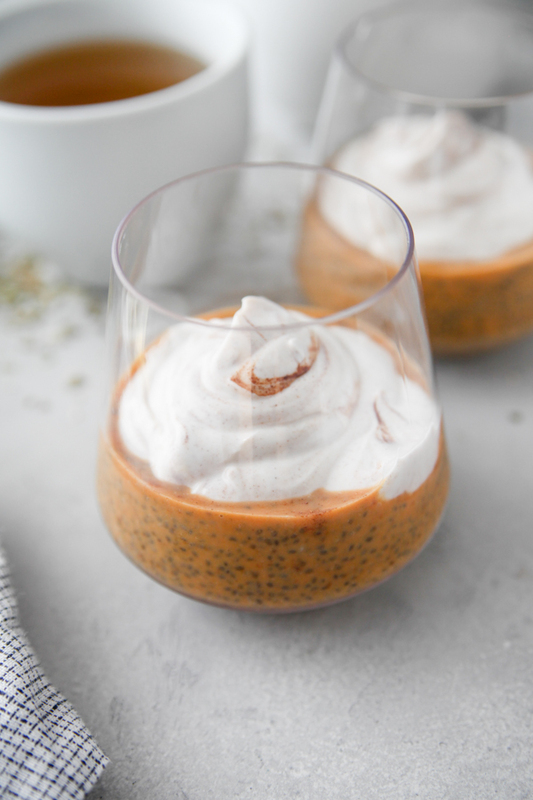 I’ve been on a chia pudding kick lately, so i’ll definitely be giving this one a try! hey that looks pretty darn good! This recipe is inspiring. I pinned, thanks so much!